NAB Show 2019 wrapped up last week, and to put it lightly, it was a great show for Haivision. We had the opportunity to connect with some amazing people, get some valuable feedback on our technology, and debut our latest work. It would be tremendously difficult to sum up the entirety of NAB Show 2019 in one blog post, but here are a few highlights from last week. The biggest highlight for our team in Las Vegas for NAB Show 2019 was the chance to connect. Being able to see partners, clients, old friends and new – this is what shows like NAB Show are really about. And between our booth, our stand at Microsoft, our three SRT panels, and many meetings, we were able to connect with many people. Thank you to everyone who took the time to come and see us. 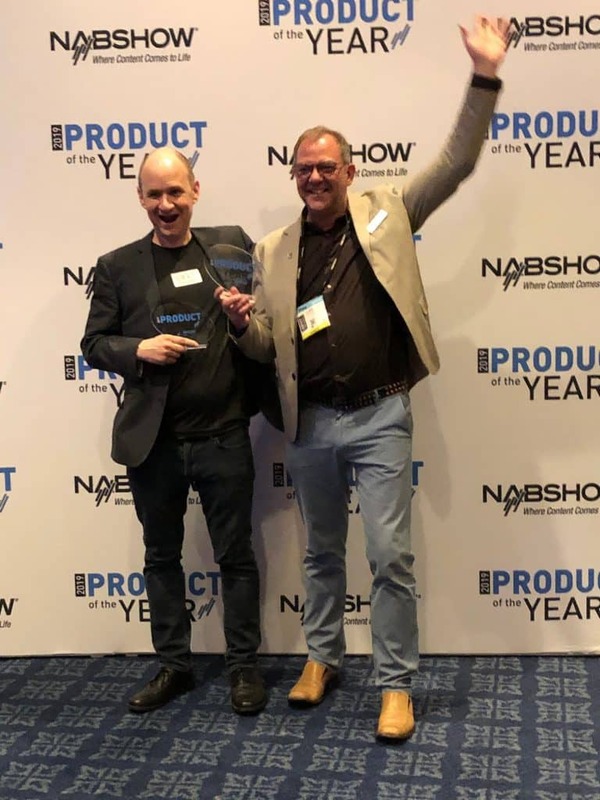 We were also very proud to have been honored with not just one, but four prestigious awards while we were at NAB Show 2019. 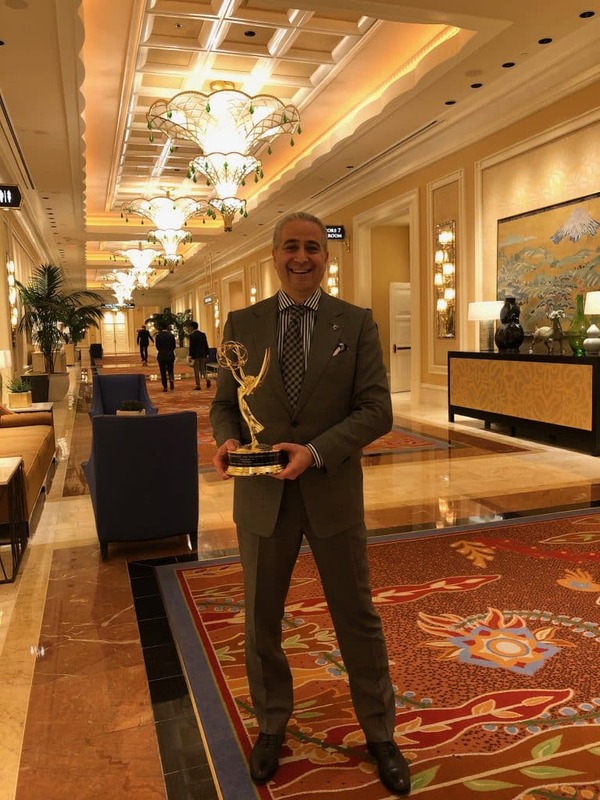 We first collected our Emmy® statue for Technology and Engineering, which we were awarded by the National Academy of Television Arts and Sciences for our development of the SRT open source low latency video streaming protocol. We were further thrilled to be awarded with a Future Best of Show award from TVTechnology, which was presented to us at NAB Show for the innovation, feature set, and performance of the SRT open source protocol. Last, but far from least, we ended the show on a high note at the NAB Product of the Year awards. We were presented with two awards at the Wednesday evening ceremony. The open source SRT protocol continued to receive recognition with the 2019 NAB Product of the Year Award for Video Transport. 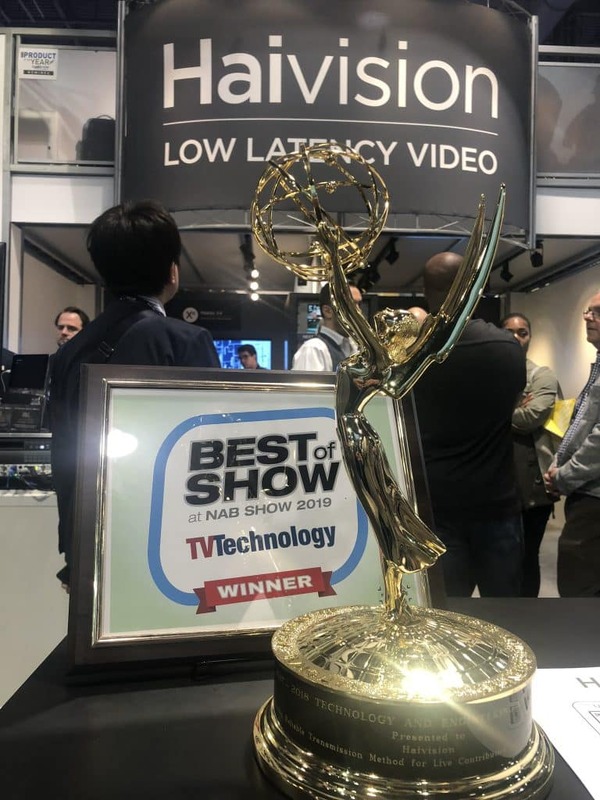 Haivision also picked up the 2019 NAB Show Product of the Year award for Hardware Infrastructure, in recognition of the cutting-edge technology behind our newest video encoder, the Makito X4. 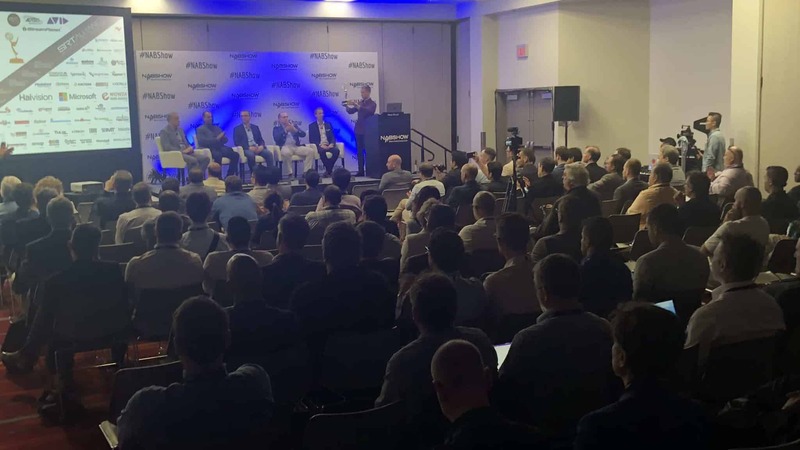 Following the popularity of our SRT events at other shows, there were three SRT panels at NAB Show 2019. In total, panelists from 14 organizations shared their experiences with SRT, including Microsoft, Wowza, Al Jazeera, Fox News Channel, Broadcast Bridge, RedBEE Media, MediaKind, Globo, Bitmovin, deluxe, Gogo, Avid, NetInsight, and of course, Haivision. These panels did more than give an overview of the SRT protocol and its uses – they helped to demonstrate the importance of partnerships in the progress of broadcast technology. Speaking of partnerships, we are incredibly excited about our partnership with Microsoft. One of the latest developments from that partnership is SRTHub, an on-demand, media routing solution that enables broadcasters to stream video and transport files through the cloud, leveraging the Microsoft Azure backbone. SRTHub wasn’t the only debut we had at NABShow. We also announced SRT P2P, a lightweight, plugin-free, decentralized peer-to-peer streaming technology that replicates low latency video streams securely between clients, enabling broad scale video delivery. We were able to connect with partners who were interested in stress testing the new development. Want to learn more? Read the announcement, here. Want to learn more about the “show-stealing” SRTHub? Visit the SRTHub page to explore its features – you can also download our free datasheet or schedule your own private preview. Once again, thank you to everyone we connected with at NAB Show 2019. And if you missed us this year, please see our list of upcoming events – we would love the chance to see you there!